1. Evolution did not end, or even slow down, with the advent of Homo sapiens. It has actually accelerated. 2. It especially accelerated about 10,000 years ago, when the rate of genetic change rose over a hundred-fold among early modern humans. This acceleration didn’t happen because they were spreading into new physical environments with different climates, topographies, vegetation, and wildlife. By then, humans had already spread throughout the world from the equator to the arctic. 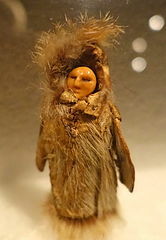 They were now spreading into new cultural environments with different technologies, social structures, belief systems, and means of subsistence. 3. The human species has therefore experienced more genetic change over the past 10,000 years than over the previous million years. This change has particularly involved genes for mental, behavioral, and life-history traits (Frost, 2011; Hawks et al., 2007). One life-history trait is the age of first reproduction (AFR). Because AFR is highly heritable, there may have been co-evolution between biology and culture. In other words, natural selection has tended to bring full reproductive maturity into line with the age when young couples have enough resources to marry and start a family. All of this changed when Europeans began to settle in the “New World.” Suddenly, land was no longer a constraint on marriage, and early marriage became the norm. With the downward shift in the age of marriage, was there a corresponding downward shift, via natural selection, in the age of full reproductive maturity? 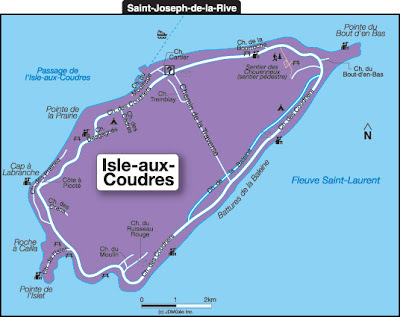 Yes, according to a recent study of Île aux Coudres, a French Canadian community on an island in the St. Lawrence. Over a period of 140 years, from 1800 to 1940, this community saw its mean AFR fall by four years. This decline was driven not by a lowering of the mean age of marriage (which now remained stable) but by a shortening of the mean interval between marriage and first birth. The decline in AFR seems to have been real, and not an artefact of incomplete marriage and birth records. In fact, the church registers provide exceptionally detailed birth and marriage data. Nor was it an artefact of an influx of people with lower AFRs. Almost everyone on Île aux Coudres is descended from thirty families who settled the island between 1720 and 1773. Could the reason have been changes to diet and nutrition? Unlikely. When I first heard of this study, I thought that some kind of cultural lag might have been responsible. Old habits die hard. Perhaps many of the early settlers, with memories of the old country, were still afraid of not having enough land to support a family, even after they had decided to marry. This reticence would have then gradually disappeared as memories of the old country disappeared. Such a change in mentality, however, would have happened much more among the earlier generations than among the later ones. Yet this is not what we see in the data. AFR changed at the same rate from one generation to the next throughout the 140-year period. Couples married after 1870 showed the same rate of change as couples married before 1870. Indeed, this steady rate of change seems to rule out most socio-cultural explanations, particularly those that involve some kind of re-adjustment to new conditions. In any case, the study period (1800 to 1940) postdates the years of immigration and settlement (1720 to 1773). We’re certainly going to see more studies like this one, either from Île aux Coudres or from other regions of French Canada. In general, French Canadian communities are ideal for the study of human microevolution. Records of births, marriages, and deaths are remarkably complete over a span of three centuries, and the inhabitants tended to stay put in the same locality generation after generation. For several regions of Quebec, we already have complete genealogical databases that could be enriched with genetic data for the most recent generations. Hawks, J., E.T. Wang, G.M. Cochran, H.C. Harpending, & R.K. Moyzis. (2007). Recent acceleration of human adaptive evolution, Proceedings of the National Academy of Sciences (USA), 104, 20753-20758. Seccombe, W. (1992). A Millennium of Family Change. Feudalism to Capitalism in Northwestern Europe, London: Verso. Let me summarize my last series of posts. We are nearing the end of relative global peace, specifically the peace that has reigned since the Korean armistice was signed back in 1953. This era is ending because of changes to the international system over the past two decades and to the nature of global peace itself. First, a balance of terror no longer exists to contain regional conflicts and thus keep them from going global. Military alliances have become less specific in their aims and reciprocal responsibilities. In the East, this has happened through the replacement of the Warsaw Pact by the Shanghai Cooperation Organisation (SCO). In the West, this has happened through a broadening of NATO to include new members and new aims, as well as through a general weakening of commitment among older members. Second, global peace no longer maintains an acceptable status quo. Previously, states merely pushed the envelope of peace here and there to see what they could get away with. There was also terrorist action by dispossessed groups that had nothing to gain from the status quo. But such groups, by definition, were geopolitically marginal. Peace was acceptable to those who had the power to destroy it. This view has radically changed in the case of North Korea. Previously, Pyongyang saw the conquest of South Korea as an almost hypothetical goal that could be pushed indefinitely into the future. The status quo was wrong but bearable. Today, it’s no longer bearable. The other Korea has created a new dynamic by embracing post-nationalism, multiculturalism, and large-scale immigration. This might not matter if the North had followed the same ideological evolution as the South. But it hasn’t. The North has been frozen in time. It still sees itself as a vehicle for preserving and perpetuating the Korean people. It still adheres to values that were normal throughout the world only a half-century ago. Thus, North Korea can no longer accept the “status quo” even as a temporary expediency. It now sees an invasion of the South as something that must happen soon—before the demographic changes become irreversible. North Korea’s official news agency carried comments this week from a Foreign Ministry official criticizing the air assault on Libyan government forces and suggesting that Libya had been duped in 2003 when it abandoned its nuclear program in exchange for promises of aid and improved relations with the West. There has indeed been an arms buildup in countries that fear eventual U.S. intervention, particularly China, Russia, and Iran. None of them wish to go one-on-one with the U.S., for obvious reasons. The result has been the formation of a new pan-Eurasian alliance: the Shanghai Cooperation Organisation (SCO). Politics makes strange bedfellows, and it is indeed strange to see the Islamic Republic of Iran wanting to bed down with China and Russia, both of which have restive Muslim minorities. Despite the arms buildup, and an ever more fragile international system, global peace might still continue indefinitely. The destabilizing factor is really the spread of an increasingly aggressive globalist ideology and, correspondingly, resistance by various forms of anti-globalism. For comparison, we can turn to the gradual breakdown of the post-Napoleonic peace that lasted from 1815 to 1914. That century-long peace was made possible by the Concert of Europe, a coalition of conservative regimes that worked together to keep the continent free of liberalism and nationalism. The coalition fell apart during the second half of the 19th century and gave way to a looser system of opposing military alliances. Today, the rise of globalism might seem to promise a return to that lost era, when liberalism and nationalism were still on the margins of political life. That old order, however, allowed people to organize their lives along traditional lines—on the basis of kinship and ethnicity. Nor was there any effort to “elect a new people.” Loyalty ran both ways, and the ruling aristocracies felt bound to their subjects in a way that would seem incomprehensible to our current elites. Indeed, the late 19th century saw liberalism and nationalism begin a process that would eventually culminate in today’s globalism. Both liberals and nationalists wanted to open up the tight little world of small communities. Both wished to create a larger community, the nation state, that would provide more room for individual freedom and individual identity. Both viewed “parochialism” as an obstacle to progress and the creation of a more rational social order. Above all, both saw the leveling of local identities as the means to create a society that would be militarily stronger and economically more viable. Nationalism has thus paved the way for globalism. It has merged local identities into national identities that are, to varying degrees, synthetic and lacking in authenticity. The more artificial the resulting national identity, the easier it has been for globalism to present itself as the next logical step. There is one more way in which globalism resembles nationalism, as well as other ideologies. It tends to push ahead while ignoring evidence that things aren’t working out as planned. And this blindness will likewise condemn it to the same fate that has befallen other ideologies. Until then, however, it will likely do much harm. Will globalism collapse through an eventual global conflict, like fascism in the mid-20th century? Or will it collapse under the weight of its own contradictions, like communism a half-century later? And just what will post-globalism look like? These are questions for which I have no ready answers. Perhaps you do. 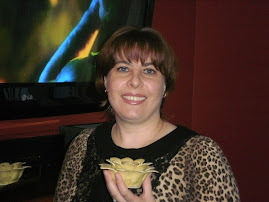 McDonald, M. (2011). North Korea suggests Libya should have kept nuclear program, New York Times, March 24, 2011. Towards an imbalance of terror? Tensions are mounting on the Korean Peninsula, as seen last November in the bombardment of Yeongpyeong Island. Is a second Korean War imminent? Yet the current situation differs from the one that prevailed during most of those sixty years. From 1953 to the late 1980s, there was no second Korean War because neither the United States nor the Soviet Union wanted one. Both parties considered the division of the Korean Peninsula to be an acceptable compromise. The only people really unhappy were the Koreans themselves, who on their own could do little. The decision to go to war ultimately lay in Washington and Moscow. This situation has changed since the Cold War ended in the late 1980s. 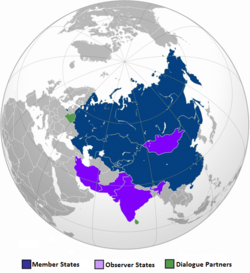 Moscow has ceased to be a decision center for global conflict, and the Warsaw Pact has given way to a much more decentralized defense pact: the Shanghai Cooperation Organisation (SCO). NATO still exists and has even accepted new member states, but it too is now a looser organization with less clearly defined obligations. Many members have refused to support the latest military operations in Afghanistan and Libya. The end of the Cold War also stopped the Soviet Union’s direct and indirect subsidies of North Korea. Throughout the 1990s, the regime in Pyongyang teetered on the brink of collapse, with reunification being the most likely outcome. At the time, many South Koreans actually feared this prospect, having seen the high cost of reunification in Germany. That window of opportunity closed in the early 2000s. By then, Pyongyang had weathered the worst of the storm, as had its semi-allies China and Russia. By then too, the South had embraced its new Global Korea policy—an explicit shift to post-nationalism, multiculturalism, and large-scale immigration. In 2006, Pyongyang’s leading newspaper, Rodong Sinmun, angrily denounced the new policy as “an unpardonable argument to obliterate the race by denying the homogeneity of the Korean race and to make an immigrant society out of South Korea, to make it a hodgepodge, to Americanize it” (Koehler, 2006). The Global Korea policy has fundamentally changed Pyongyang’s vision of the future. Conquest of South Korea is no longer a goal to be pushed indefinitely into the future. It is something that must happen soon—before the demographic changes in the South become irreversible. In a conflict between North Korea alone and the United States, there is little doubt about the eventual outcome. The United States would win. Clearly, the above scenario holds little appeal for the North Koreans. But there are other scenarios. The most attractive one, from their standpoint, would bring other nations into the war on North Korea’s side, especially China. Today, such an outcome seems unlikely. Germany has been reunified for two decades, and U.S. troops are still there. For a number of geopolitical reasons, the Americans wish to keep a military presence in mainland East Asia just as they wish the same in continental Europe. Even if U.S. troops did leave, South Korea’s political class would remain oriented to the United States and would tilt a reunified Korea in that direction. China would thus have a U.S. ally right next to its industrial heartland of Manchuria. 1. North Korea is not perceived as the aggressor. If the U.S. intervenes in North Korea as it has previously in Kosovo, Iraq, and Libya, the Chinese would at least covertly assist Pyongyang. 2. Tensions are already high between China and the U.S. This could come about for a number of reasons: Taiwan; the trade balance; concerns over Tibet and the South China Sea; etc. 3. Other SCO member states are willing to provide at least covert assistance. 4. NATO is increasingly divided, with some member states being members in name only. The above scenario is certainly far from science fiction. The United States could intervene in North Korea if it believed that the regime was about to collapse and that a popular uprising was in progress. After all, the same kind of intervention seemed to work in Libya. There is also the mistaken belief, common among U.S. policymakers, that the Chinese would support the U.S. or at least do nothing (Mrosek, 2011, pp. 50-52). Ironically, that belief can be traced in part to the above passage by Bernstein and Munro. Just as mistakenly, the Americans, and perhaps also the Chinese, believe that the resulting conflict could be contained to the Korean Peninsula—much like the first Korean War. Yet such containment is less likely today than it was in 1950-1953. Back then, both the United States and the Soviet Union were war-weary and wished to consolidate their newly won spheres of influence. There was thus a deliberate effort to keep the war from spreading, as seen in Truman’s sacking of Gen. MacArthur. Finally, although many nations fought in the Korean War, only two of them—the United States and the Soviet Union—had the power to decide whether it would remain regional or go global. The same principle held throughout the Cold War. The international system was essentially a duopoly—a “balance of terror.” When the Hungarian Revolution broke out, the United States thought long and hard … and did nothing. When the two power blocs did intervene in regional conflicts, as in Korea and Vietnam, the conflicts remained regional. With the end of the Cold War, the United States has been more willing to engage in military interventions that would have been unthinkable before. One result has been an arms buildup in countries that fear U.S. intervention, notably China, Russia, and Iran. This fear was instrumental to creation of the SCO. Unlike the Warsaw Pact, however, the SCO has no single decision center, and its member states do not have clearly defined obligations to each other. The same could be said for NATO. Its aims are no longer clearly defined and its members more and more reluctant to engage in theatres of war that now lie well outside Europe. Increasingly, NATO is providing a cover for operations led primarily by the United States and any other member states that wish to tag along. This new international system can do little to contain regional wars. It may indeed have the potential to draw one nation after another into an initially minor conflict, especially if they see it as a prelude to similar interventions to be launched against themselves. The world situation today thus scarcely resembles 1950. It seems to have more in common with … 1914. Bernstein, R. & R.H. Munro. (1998).The Coming Conflict with China, New York: Vintage Books. Fazio, D. (2011). The North Korean security threat: an historical context and current policy options, ERAS, 12(2), 1-25. Kang, D. (2010). Korea Expert Answers Your Questions. Koehler, R. (2006). I guess this means the DPRK won’t be inviting Hines Ward for a visit (English translation of Rodong Sinmun editorial). Mrosek, D.M. (2011). China and North Korea: A Peculiar Relationship, thesis, Naval Postgraduate School, Monterey, California. 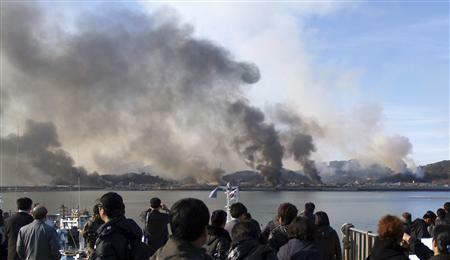 North Korean shelling of Yeongpyeong Island, November 23, 2010. Why are tensions rising in Korea? There has been much talk about B.R. Myers’ book: The Cleanest Race: How North Koreans See Themselves—and Why It Matters. Far from being communists, the North Koreans are, well, Nazis. And that matters a lot to us. Or so the book argues. Actually, North Koreans see themselves pretty much the same way they saw themselves back in the 1950s. The most interesting change has been among Westerners—and Americans in particular. We no longer view ourselves as heirs of a specific ethnic and national tradition. Indeed, blood relationships scarcely matter at all in the West, except within the confines of the nuclear family—and even that last bastion has fallen for almost half of all adults. The market economy is becoming the sole organizing principle of our social life. But perhaps it doesn’t really matter who has changed. What does matter is the fundamental difference in self-perception that has developed between them and us. And in recent years the difference seems to have been growing further. Concurrently, tensions have been rising on the Korean Peninsula. In 2009, a naval battle took place near the island of Daecheong. In March 2010, a North Korean submarine may have sunk the South Korean corvette Cheonan. On November 23, 2010, the North Koreans bombarded Yeongpyeong Island. It’s neither novel nor controversial to say that the Korean conflict is ideologically driven. What is new is the apparent ideological renewal of this conflict. After a lull of two decades—the “End of History”—we seem to be entering a new Cold War: post-nationalism versus nationalism, globalism versus localism, us versus them. And the situation will probably get worse before it gets better. Will South Korea abandon its Global Korea policy? Unlikely. This policy is backed by the local and international business community and by a broad cross-section of South Korean society. Opposition to it is disorganized, and it’s hard to see how opposition can organize within the current framework of “right” and “wrong.” Globalism is “right.” Ethnic nationalism is “wrong.” South Koreans can disagree over the ways and means of building a post-national society, but the actual goal is beyond criticism. Needless to say, this push for post-nationalism is under way throughout the Western world. Is it going to stop? Unlikely, at least not in the near future. Will American policymakers try to call a halt in South Korea for purely pragmatic reasons, i.e., for the sake of world peace? Also unlikely. Given the reception of Myers’ book, they’ll see a golden opportunity to frame the Korean conflict in progressive terms—as a struggle to defend a modern, inclusive, and post-national society. Will the North Koreans join us in embracing post-nationalism? Unlikely. They aren’t plugged into our current notions of right and wrong. They don’t watch American TV. Their students don’t go to American universities. They don’t have our pundits, experts, and policy wonks. They just aren’t exposed to our norms of correct thinking. Will the North Korean regime fall? Unlikely. There’s no reason to believe it’s closer to collapse today than it was in the 1990s. Back then, the entire eastern bloc seemed to be disintegrating, and North Korea had to cope with a sudden loss of subsidies from the Soviet Union. As bad as things now are in North Korea, the situation is nowhere near as bad as it was back then. Just as importantly, its allies to the north—China and Russia—have likewise weathered the storm and are entering a period of renewed self-confidence. All of this leads to two conclusions. First, the divide between them and us will continue to grow. There is no desire on either side for genuine rapprochement. And the second conclusion? The North Korean leadership no longer sees the conquest of South Korea as a goal that can be pushed indefinitely into the future. It is something that must happen soon—before the demographic changes in the South become irreversible. Yes, war is coming. Soon. In this, I claim no access to inside information. I simply know that the North Koreans care about their country and their people in a way that most of us no longer understand. To me, the eventual outcome seems inevitable. By a strange quirk of fate the Korean Peninsula is once more becoming a fracture zone between two ways of viewing the world. And the Korean people will be the first victims. But they won’t be the only ones. Myers, B.R. (2010a). The Cleanest Race: How North Koreans See Themselves—and Why It Matters, Brooklyn: Melville House. In my last post, I discussed how South Korea has “gone global.” Its business community has emancipated itself from the nation state and is now outsourcing employment to lower-wage countries and “insourcing” lower-wage labor. The eventual result? A downward leveling of incomes. And a profound ethnic and cultural transformation. South Korea is abolishing itself. This self-abolition is of concern not just to South Koreans. There is the little matter of their neighbors, the North Koreans. What do they think? A naïve observer might expect a positive reaction. Doesn’t the North support international socialism? And doesn’t that mean support for multiculturalism? At most, one might expect some sadness that the political Right is piloting this transformation of South Korea. Recently, in South Korea, a strange game pursuing the weakening of the fundamental character of our race and making society 'multiethnic and multiracial' is unfolding. Those responsible for this commotion are spreading confounding rumors like South Korea is a “multiracial area” mixed with the blood of Americans and several other races, how we must “overcome closed ethnic nationalism,” and we must embrace “the inclusiveness and openness of a multiethnic nation” like the United States. For some, the above editorial is proof that the North Koreans are nuts. They’ve gone Nazi, and there’s no longer any point in dealing with them. This is the message of a recent book that brands the North Koreans as being “ideologically closer to America’s adversaries in World War II than to communist China and Eastern Europe” (Myers, 2010, pp. 15-16). The truth is a bit more complex. First, they’re not the ones who’ve changed. We have. We’re observing North Korea from a frame of reference that has shifted over time. Today, across our entire political spectrum, we view all forms of ethnic nationalism as outdated, if not evil. Sixty years ago, the same view was confined to the far left. It was even marginal within the leftist ideology that gave birth to North Korea. Socialism, Marxism-Leninism, communism …. These are different words for the ruling ideology of the Soviet Union, particularly during Josef Stalin’s long term of office from the mid-1920s to the mid-1950s. During the 1930s, and more so during the war years, Stalin partially rehabilitated nationalism, seeing national identity as normal, legitimate, and even progressive—especially if used to mobilize opposition to fascism and international capitalism. He also promoted autarky and the belief that socialism should be made to work in one country at a time. Meanwhile, many Koreans were looking to Soviet communism as a way to take back their country. They were really nationalists who resented the way their nation was being made to serve Japanese imperial rule and a tiny landowning class. They also understood that many nations elsewhere faced similar situations. By lending their voices to the chorus of international solidarity, they believed they were encouraging others to become masters in their own house. They were also ensuring their personal survival, since many had to flee to the Soviet Union and China. Thus Marxism-Leninism cannot affect the deep structures of thought and behavior in any society except over a very long period: it will be grafted onto existing, longstanding roots and, while seeking to transform the roots, will itself be transformed as peoples and cultures render it intelligible to their lives. Part of the roots will be whittled away, but the branches will be pruned as well. This has proved truer in Korea than in many settings for building socialism, precisely because of the very alienness of the setting to this fundamentally Western set of ideas. Korea had a minuscule proletariat, the beginnings of capitalism, and far too much internationalism (capitalist-style) by 1945. It therefore took from Marxism-Leninism what it wanted and rejected much of the rest: a state with potent organization, capable of providing the political basis for independence at a future point; an economic program of rapid industrialization and a philosophy of subjecting nature to human will; Lenin's notion of national liberation; Stalin's autarky of socialism-in-one country (to become in Korea socialism in one-half-a-country, and now, as Kenneth Jowitt remarked, socialism-in-one-family). Autarky fit Korea's Hermit Kingdom past, and answered the need for closure from the world economy after decades of opening under Japanese auspices. What was unusable was dispatched as soon as possible: above all the socialist internationalism including a transnational division of labor that the Soviets wanted and that Korea successfully resisted, beginning in the late 1950s. In the 1950s, North Korea was more nationalistic than the rest of the communist bloc, but this difference should not be exaggerated. When communist Bulgaria pressured much of its Turkish minority to leave, the reason was that the Turks, as Turks, were incompatible with the Bulgarian nation state. When Mao offered to send Chinese migrants to Siberia, Khrushchev curtly refused: such migration would have endangered the region’s ethnic balance. There was no other reason. The West was no less committed to the nation state. When the two power blocs went to war over the Korean peninsula, the West never condemned the North Koreans for ethnic nationalism—or the outdated idea that blood relationships are a key organizing principle of society. That idea was not yet outdated. In fact, our side accused the North Koreans of trying to subvert blood relationships—by undermining the authority of the family and by banning ancestor worship. Since then, the North Koreans have hardly changed. But we’ve changed a lot. Today, in rejecting the nation state, we differ profoundly not just from the North Koreans but also from what we were back in the 1950s. We are strangers to everyone from that time, including ourselves. Is this surprising? Change moves slowly in communist societies because the State keeps a tight rein on mainstream culture. There is only one authorized ideology, and it’s not easily tampered with—despite all of its revolutionary rhetoric. Any adjustments must be approved by the different organs of the ruling party, which are in the hands of individuals who have slowly risen through the party’s ranks. The West, despite its superficial conservatism, offers much more leeway for sweeping change. The mainstream culture is an open system. It is much more vulnerable to being altered, and there is no lack of interest groups who understand the value of such alteration. By changing cultural norms, they can change how the average person thinks and behaves. Cumings, B. (1982-1983). 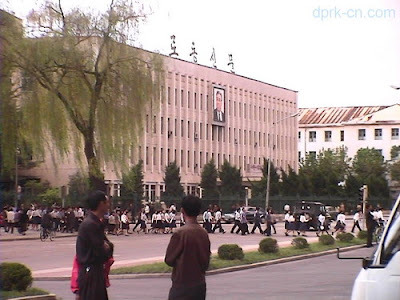 Corporatism in North Korea, Journal of Korean Studies, 4, 269-294. Myers, B.R. (2010). The Cleanest Race: How North Koreans See Themselves—and Why It Matters, Brooklyn: Melville House.